First day of school for my darling daughter. 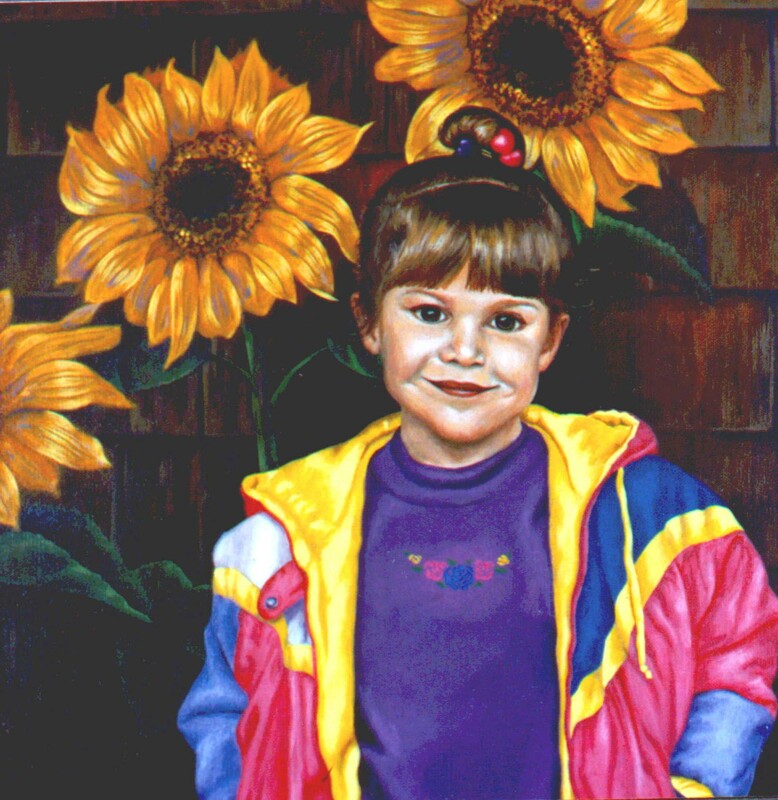 A judge, in a critique said that it was obvious that the artist loved this child. And the judge was right. Shadows are interesting. Before the Impressionists came along with their love of painting outdoors, the studio painters tended to paint shadows as darker shades of the prevailing local color. With observation we can see that there is not only color in light but color in shadows. Unless something is completely dark there is some color going on. In creating the color for shadows we can accentuate what we already know to be there. So instead of thinking grayed browns and blacks, think dark green, blue, purple, perhaps even red – using them side by side in the same intensity (the same on the black and white scale). A great way to develop the skill of matching intensity is to photograph a finished colored painting with black and white film. Red, for example, is a very dark color, but because it is also bright, it fools us into thinking it is actually lighter. Children love to experiment with mixing color. It is just as fun as an adult. Enjoy!